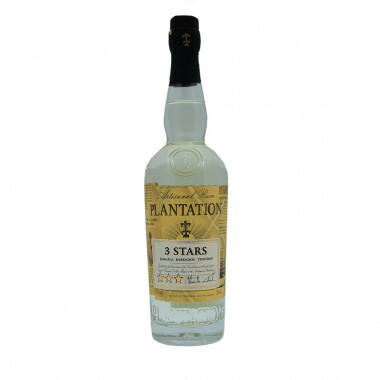 The Maison Ferrand offers us this rum Plantation 3 stars, blended with three rums from three different islands: Jamaica, Barbados and Trinidad. Barbados and Trinidad rums have aged during 72 hours and Jamaican rum has aged during two weeks. 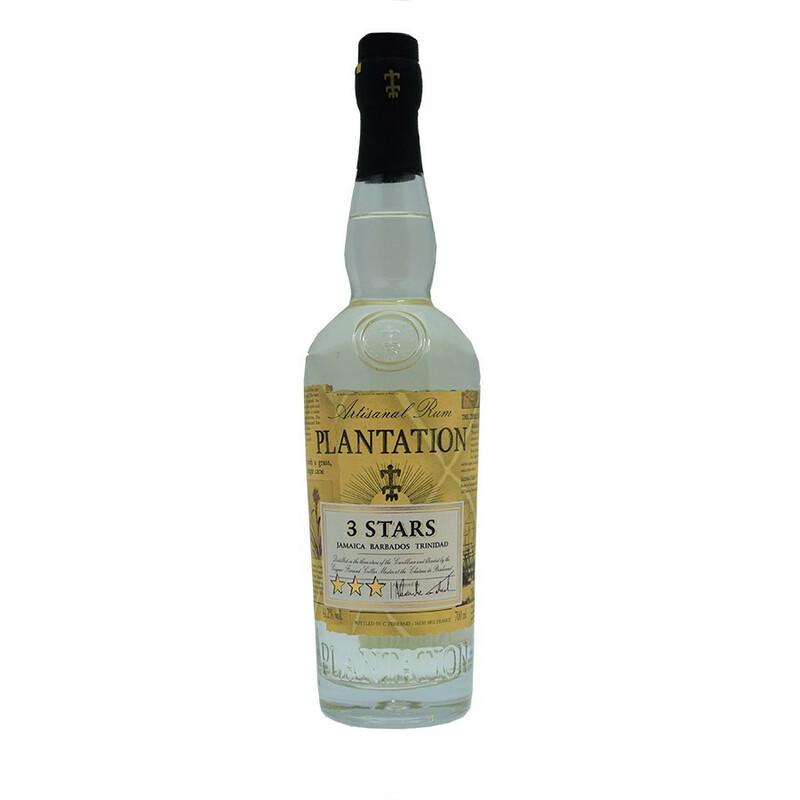 This is the only white rum from the Plantation range, each island brings its specifications to this rum, it has been named 3 stars in honour to these three carabbean islands. 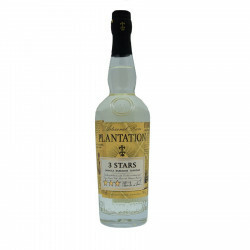 Launched by Maison Ferrand, the label Plantation Rum consists of a collection of rums from the best distilleries in the Caribbean (Barbados, Grenada, Guyana, Jamaica, Nicaragua, Panama or Trinidad). The collection is divided into two distinct ranges, blends and vintages. The blends are blends refined by the cellar master of the Maison Ferrand. The vintages, whose tastes differ from one vintage to another, come directly from the barrel and are available in limited quantities. Designed in a traditional way, produced in rum distilleries and aged in barrels under the tropical sun, the rums of the Plantation Rum range benefit from a unique aging process: "double ageing" which consists of bringing back from their country of origin the rums at the right time to refine them several months more directly to the Domaine de Bonbonnet in Cognac in small oak barrels clean at Maison Ferrand. Palate: sugary with banana and pineapple notes boosted with a vanilla hint. Finish: floral and herbal notes with a spicy finish.